Social media personality known as Eden The Doll on YouTube and Instagram. She has earned over 270,000 followers through her modeling and glamour shots. She modeled in The Marco Marco fashion runway show in 2015. She began posting to Instagram on October 16, 2014. 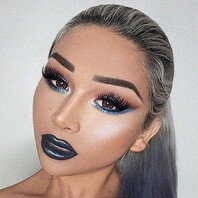 Her YouTube channel boasts to over 250,000 subscribers and includes regular beauty vlogs and tutorials. She has been based in Los Angeles, California. She has been an advocate for LGBTQ rights, as she herself is transgender.